The failure of the left in Britain to achieve its objectives in the past, and the rapidly changing nature of popular involvement in politics in recent years, both suggest the need for a reappraisal of socialist strategy in the 1980s. 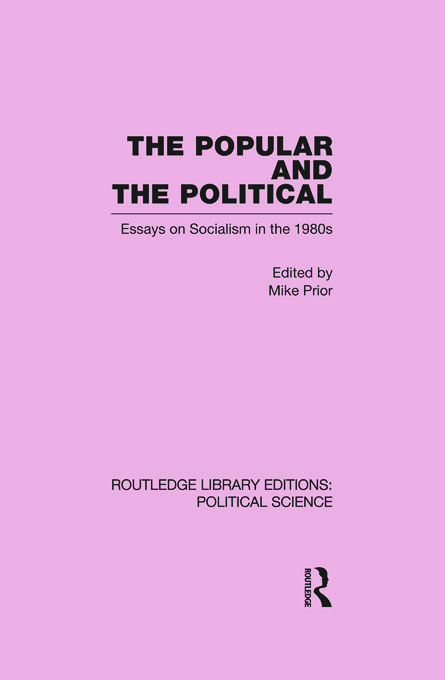 The Popular and the Political explores the need to redefine socialism in terms which extend beyond 'statism', which has been the mark of both the social democracy of the last two Labour government and the Marxist left, and which reflect the changing nature of contemporary Britain. The essays presented here consider social policy in a wide range of fields, health, housing, energy and economic planning, as well as the broad questions of democratic involvement in the political process.